REVIEW: "The fact that Dirk Serries, for twenty or so years, the man behind Vidna Obmana, started a new 'band' (again of just himself), did lead to the conclusion that Vidna Obmana was dead, or on hold at least. But it's not. Or perhaps it is, and is Hypnos just a bit late, releasing this album. It's the third act in a series of four. The first one was by Vidna Obmana himself, and on the second he transformed the saxophone sounds (see Vital Weekly 420). 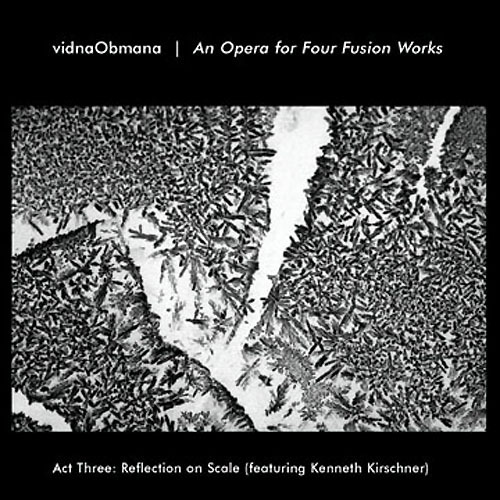 For the third act Vidna Obmana treats the piano sounds, played by Kenneth Kirschner, who is perhaps best known for similar collaborations with Taylor Deupree. The piano playing of Kirschner is quiet, just a few notes every once in a while, and the recordings he makes are usually finely treated with small clicks and hiss. This is excellent music for Vidna Obmana to expand his ambient tapestries on. 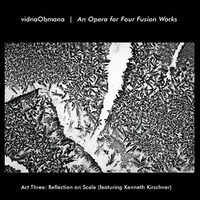 Vidna Obmana adds guitar and synthesizers, after which he locks the music into his chamber of sound effects, looping all the sounds, making small shifting changes while certain elements keep returning ad infinitum. The piano sounds by Kirschner remain audible throughout this work, it doesn't seem that they are treated to such an extent. In the warm ambient bath created by Vidna Obmana they find a good home. Soberly orchestrated, the dedication to Morton Feldman is no surprise (although perhaps many more notes are played here than on average Feldman composition). Vidna Obmana doesn't necessarily add something new to ambient, but his music still belongs to the best the genre has to offer."